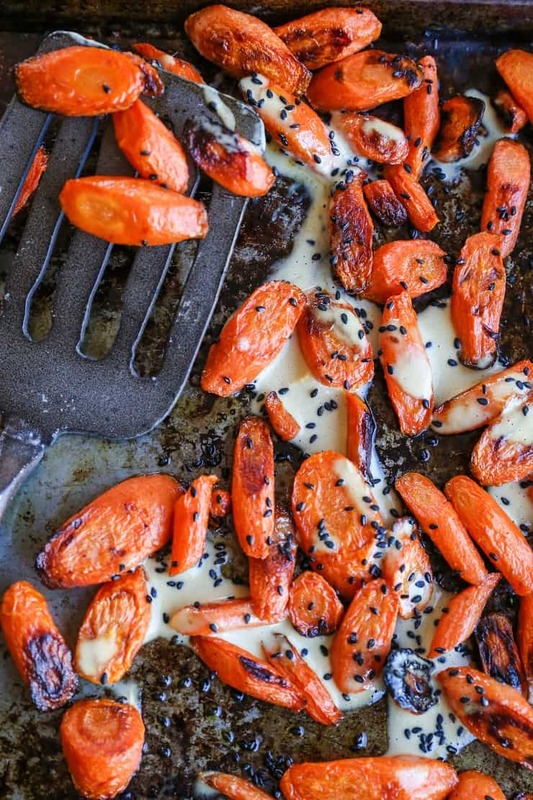 Perfectly roasted carrots with a creamy, tangy, flavorful orange-ginger sauce. This easy-to-prepare side dish is going to be a staple in your home! 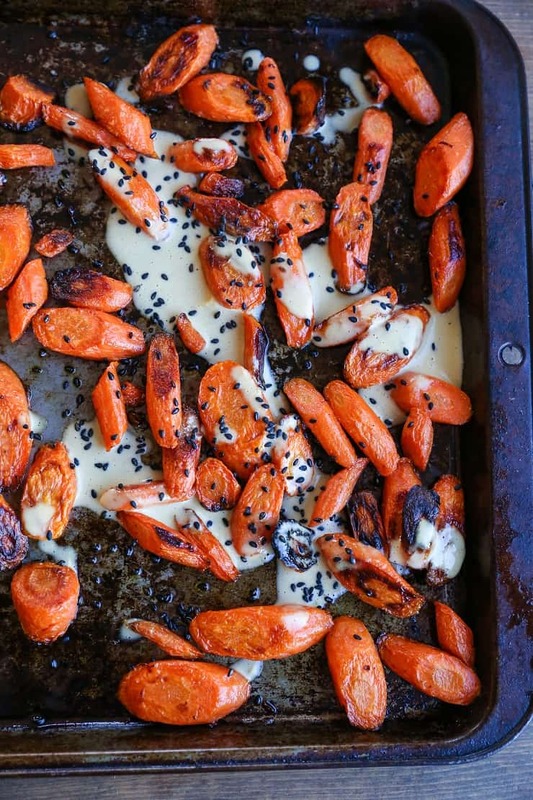 Let’s talk about the latest object of my affection: These Orange-Ginger Roasted Carrots. 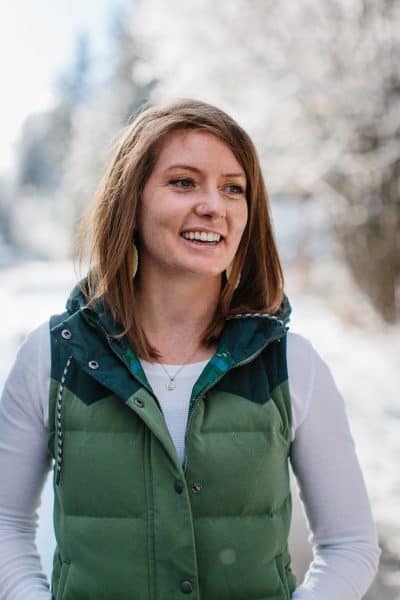 Back story (it’s short, I promise): I’ve confessed in the past that one of my go-to meal options for when I’m feeling extra hungry and extra not into cooking is to go to the Whole Foods salad bar and.just.rage. 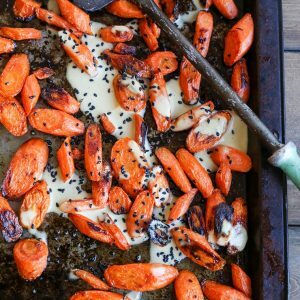 One of my favorite options at said salad bar lately is Ginger Sesame Roasted Carrots. It’s not often I’m tempted dive into the mind, body, and soul of a roasted carrot, but in this situation, I couldn’t not because they are just that delicious. Case in point: I reverse engineered a Whole Foods salad bar item, and am presenting it to you so that you can make it your new favorite side dish as well. Eat it alongside your favorite entree, eat it like it’s an entree, put it on top of a salad, you name it! As odd as the combination may sound, I enjoyed the roasted carrots with lamb chops and pesto smashed potatoes. The meal was one of those mind-blowing all-the-flavors situations. You can absolutely use heirloom or rainbow carrots for this recipe, and you can also leave the carrots whole rather than slicing them. You’ll end up with more orange-ginger sauce than you need, which means you can put this recipe on repeat multiple times, or you can use the sauce for other endeavors, like other types of roasted veg or as a sauce for your bowls. 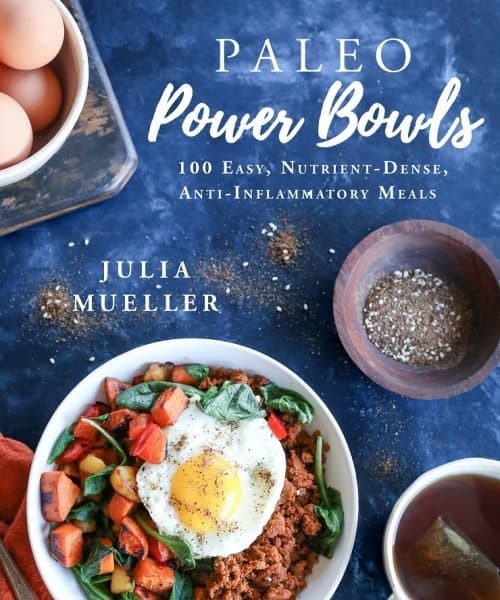 You’ll notice there are plenty of options for adapting this recipe to fit your personal taste and/or the ingredients you already have on-hand in your pantry. My preference for the sauce is sunflower seed butter, rice vinegar, and orange juice, but feel free to make it your own! The sauce can be prepared up to 5 days in advance and stored in an airtight container in the refrigerator. The carrots can be roasted up to 3 days in advance and stored in a sealed container in the refrigerator. 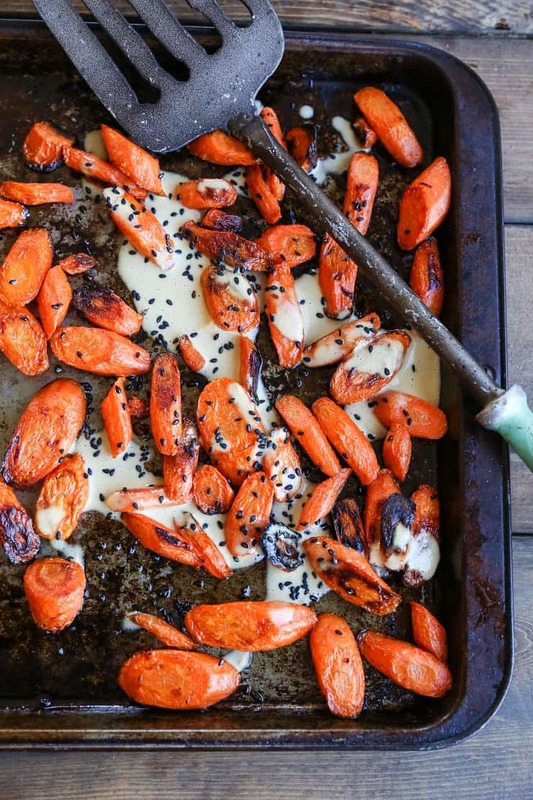 Preheat the oven to 425 degrees F. Spread the sliced carrots over a large baking sheet. Drizzle with olive oil and sprinkle with sea salt. Use your hands to toss everything together until well-coated. Roast 25 to 30 minutes, turning after 20 minutes, or until carrots are golden-brown and cooked through. While the carrots are roasting, prepare the sauce. Add the ingredients for the sauce to a blender and blend on high until completely smooth. Toss carrots in desired amount of dressing and serve alongside your favorite entrée. Note: You’ll end up with more sauce than you need. Store it in an air-tight container in the refrigerator and use it for dressing salads, roasted vegetables, and bowls. *You can use tahini, almond butter, peanut butter, cashew butter, etc. – whatever you have on hand! **Use your favorite oil for dressings – olive oil and almond oil work great too. Pesto smashed potatoes sound amazing! How do you make them? Thank you!! These look AMAZING! I’m so glad you caught that, Leah! I meant to write “or” – you can use either orange juice or lemon juice. Both work marvelously! Hope you enjoy the carrots!